There are times when working with clients I ask myself “how did I get here?” Most of the time when I’m asking myself that question it’s when I’m dealing with a problematic client and I think back to what did I not check for. Normally I have a series of cautions or red flags that I run through in my mind but there are times where I ignore the red flags because I really want to work with the client, the project is of great interest to me, or I just really need the money and I took a project. I’ve developed a some red flags checks based on the type of clients I’ve witness which serve as a caution. It doesn’t mean that I am not going to work with the client but it does mean I either need to proceed with caution or I need to decline to work with the client early on. This is someone who is really unaware of what they want. They may have an idea or a vision but they’re not 100% sure of how all of the pieces fit together. The danger in dealing with this type of client is they can never be satisfied because they honestly don’t know what they want therefore they don’t know what they’re looking for. The best thing to do in working with these type of clients is to give them more time to define what they need to be done. Allow them to think on certain questions which will help them arrive at the point to where they can explain what it is they need to do. Ask them some value driving questions and give them 2 weeks to a month to think about it and follow up with them after the project is clearly defined. This is the type of client who signs the paperwork to begin the project and then they literally disappear. You’re unable to reach them by phone, email and you really cannot get in touch with them. The final delivery deadline never changed and you can not talk to them because they’re not around. Someone may be a disappearing act is if in the initial conversations to try to understand the project is if they don’t respond or they take 2 weeks at a time to answer your initial emails or they take 3 to 5 days to give you a call back that’s a warning sign that person may be a disappearing act. To overcome someone that’s a disappearing act you have to have built-in checkpoints when you first meet up. If nothing else they’ve agreed and they are aware that they’ll be held accountable to check in at certain dates. This red flag normally happens when the potential client asks for a hookup. Normally the hookup is some type of free service or a discount to be applied before work even begins. The issue here is I believe that a discount should be given out at the discretion of the creative, not requested by the client. To that point, I don’t really believe in discounts unless it’s to reward a previous client who has paid you previously and appreciates your work at full value. Other than those points I believe you should receive full price. If the client is seeking a hookup this is not a bad thing but when you tell them that no hookups are available, pay attention to how they react. If they say OK and move on good, if they continue to press for a discount then it’s a red flag. This is the type of client who likes to negotiate as much as they can. I found this to happen the most when I had my services bundled together with different pricing tiers. I would always hear from clients they would choose the middle bundle but then they were trying to negotiate to get things that were on a higher bundle. They would say things like “oh I only need the middle bundle but can I have 1 or 2 things from the advanced bundle?” They were basically trying to put together their own package a la carte. If you really want to give your services away and make them available a la carte that’s fine, but the reason this is a red flag is if you already have certain things set in place the client is already trying to disrupt your setup. The answer is either you pick the middle bundle but if you really want benefits from the highest tier then you need to get the highest tier. If they’re okay with that good, if not and they are still trying to bargain and negotiate it’s a red flag . This person may have the knowledge and skills to do what they’re asking you for however they may not have the time. This type of client is looking for something to be done the exact way they have planned and don’t want your input. The reason this is a red flag is you want people to come to you because you provide a service and you provide a certain level of expertise. If the person is just using you to be an extension of their arm that means they want to tell you every minor detail and you’re pretty much just going to be under their direction. This is the type of client in which you agree on a certain scope of work, however, they just continually add feedback. They may say things like “oh I love the work you did but just a few small changes” but those small changes turn out to be very big. To combat this type of client I recommend something I call revision cycles. This is where you create a time to receive feedback but there’s a limit. For example, you may say there are two rounds of revision cycles any other feedback past 2 rounds will incur another fee. This is not a ploy to get more money however it is something that will force the client to give concise feedback so that you can deliver by the deadline you specified. Those are a few red flags I’ve noticed in working with clients. 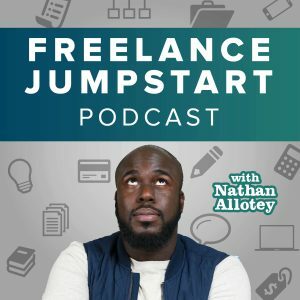 I would love to hear any stories or any red flags that you’ve noticed and working with clients. Leave a comment below and share other things you watch for or other cautions you take when evaluating potential clients.